This historic Massachusetts bed and breakfast boasts free Wi-Fi access. Cable TV and an en suite bathroom are featured in every uniquely styled room. Ski Butternut is 13 miles away. The Chambery Inn offers rooms decorated with soft colours and classic French-inspired design. Select rooms boast a spa bath, fireplace, or canopy beds. Traces of the old schoolhouse remain, as some rooms have the original blackboards. Enjoy a daily continental breakfast, which is delivered to guests rooms every morning. Admire the lush front gardens. 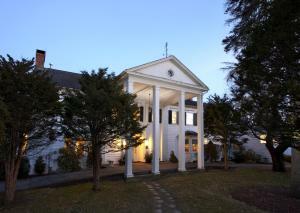 Tanglewood Musical Center is 12 minutes’ drive from the Chambery Inn B&B. Berkshire Scenic Railway Museum is 4 miles away. 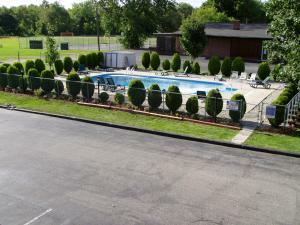 When would you like to stay at Chambery Inn ? This room features a spa bath, flat-screen TV, and a fireplace. Offering a seating area, this suite features a flat-screen TV and a fireplace. Offering a flat-screen TV, this suite features a seating area and a fireplace. Offering a seating area, this room features a flat-screen TV and a fireplace. This room features a flat-screen TV and coffee making facilities. Each day we'll check prices and send you an email for your selected dates at Chambery Inn. If you don't have specific dates but would like to check prices for say next weekend or say next month we can check the price too. Click to write a review and share your experience of Chambery Inn with other travellers.